Willie Lorene Simmons, 64, of Duncan passed away Saturday, September 22, 2018 in the OU Medical Center in Oklahoma City. Willie was born at Denton, Texas on June 7, 1954 the daughter of Lawrence and Lula B. (Eddings) Price and she was raised by her stepfather Henry Moore. She graduated from the Denton High School in Denton, Texas. She gave her life to Christ at an early age. She attended many churches where she served as an usher. She married Andrew Simmons on December 12, 1999 at St. Stephens Baptist Church under the leadership of Jackie D. Brooks. She enjoyed working as a CAN taking care of many people for over twenty years. She worked at the Duncan Care Center, Country Club Care, Chisholm Trail Assisted Living, the Power Shop and Wilkins Nursing Center where she worked until she suffered two strokes in 2008 that left her incapable of doing what she loved. She enjoyed spending time with her family and friends, watching the news, going to events in her children and grandchildrenâ€™s lives. 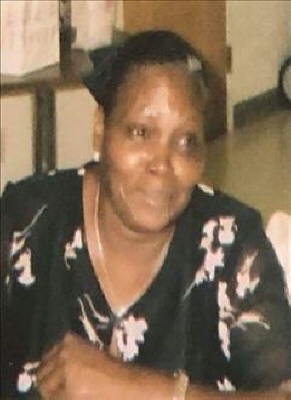 She was proceeded in death by her parents, stepfather Henry Moore, brother Jimmie D. Harris, son Charles Hollis, Jr., granddaughter ShaQuayla Bell, son-in-law Rev. Quinton Culberson and mother-in-law Bertha Cavers. To send flowers or a remembrance gift to the family of Willie Lorene Simmons, please visit our Tribute Store. "Email Address" would like to share the life celebration of Willie Lorene Simmons. Click on the "link" to go to share a favorite memory or leave a condolence message for the family.